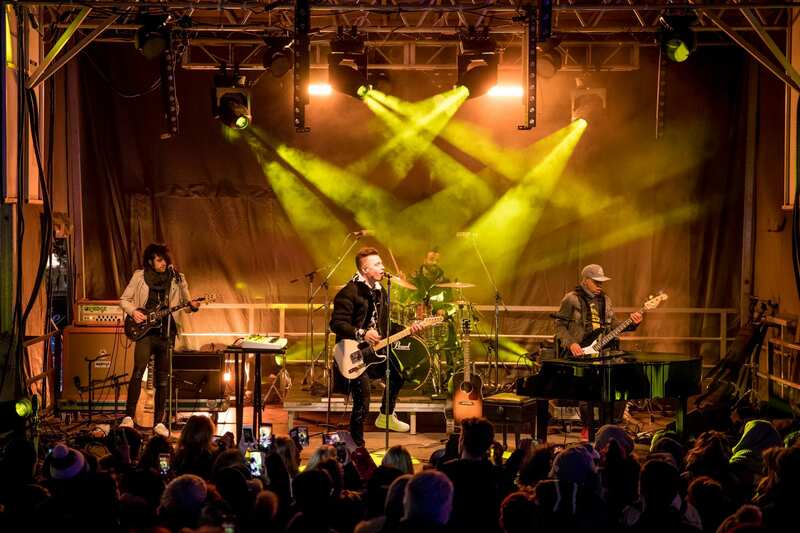 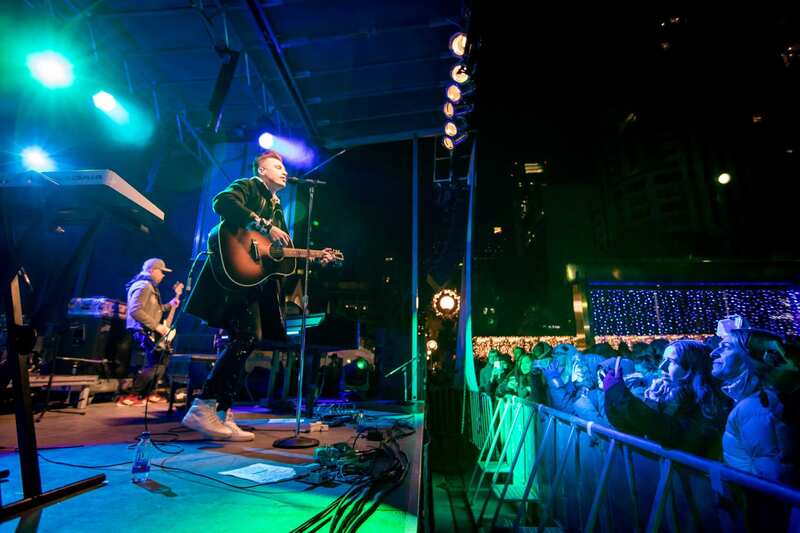 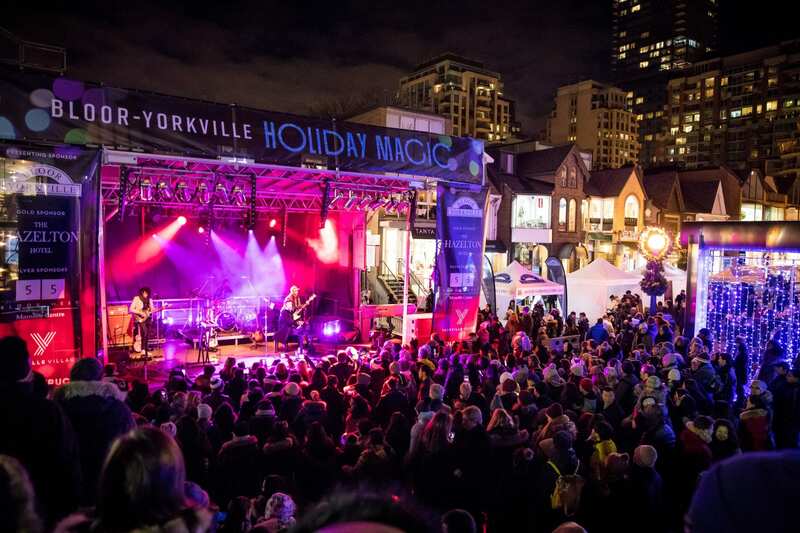 Holiday Magic 2018 Kicks off with Shawn Hook Concert in Bloor-Yorkville! 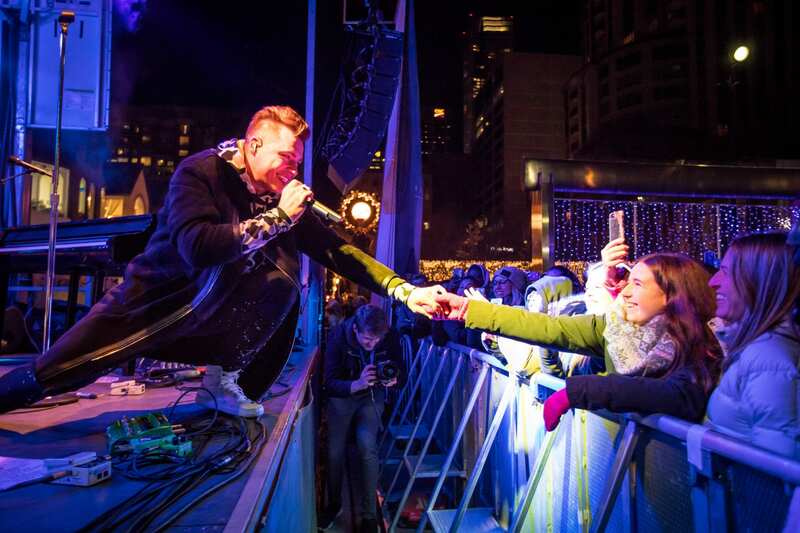 You are here: Home / Holiday Magic 2018 with Shawn Hook! 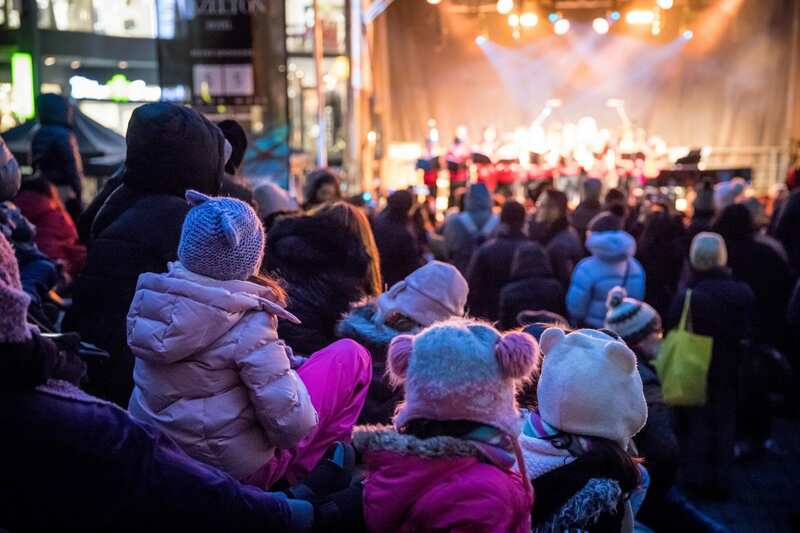 The holiday season officially kicked off in Bloor-Yorkville, this past weekend, with Holiday Magic 2018! 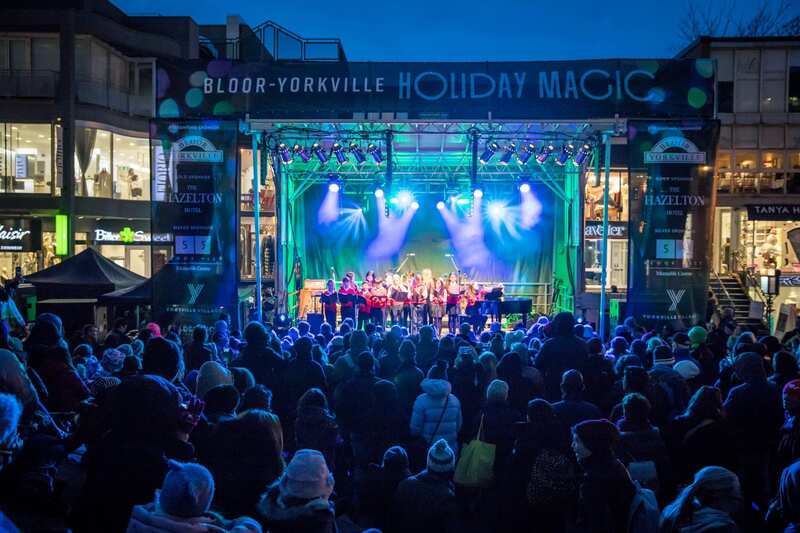 We were thrilled to welcome Canada’s very own Shawn Hook, who performed a full concert, the Rosedale Day School Choir who opened the show, and traditional carolers helped to set the festive mood. 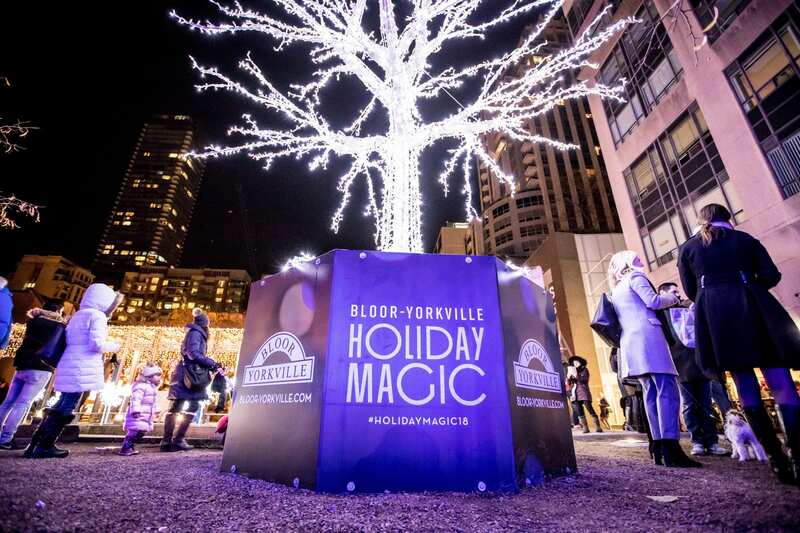 Our host Taylor Kaye from CHUM 104.5 kept the energy flowing, while Goldstruck Coffee warmed our guests with complimentary coffee and cookies. 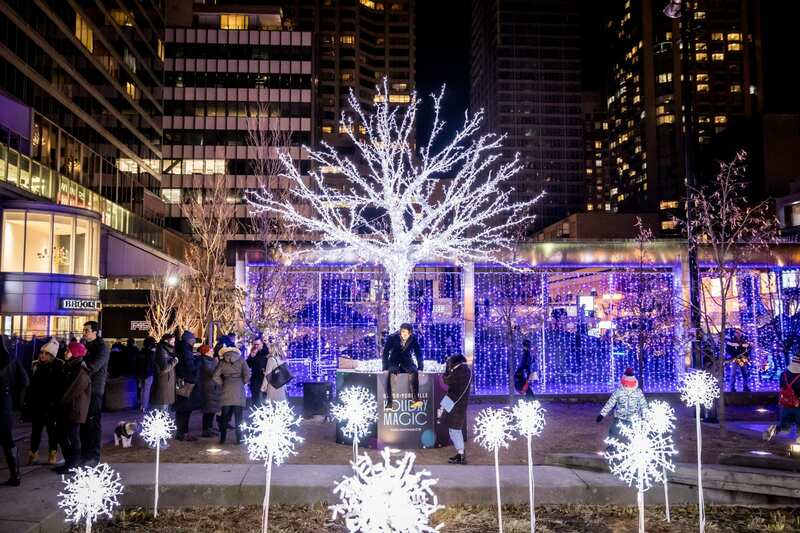 The ROM, and L’Occitane en Provence were also on site with their own displays. 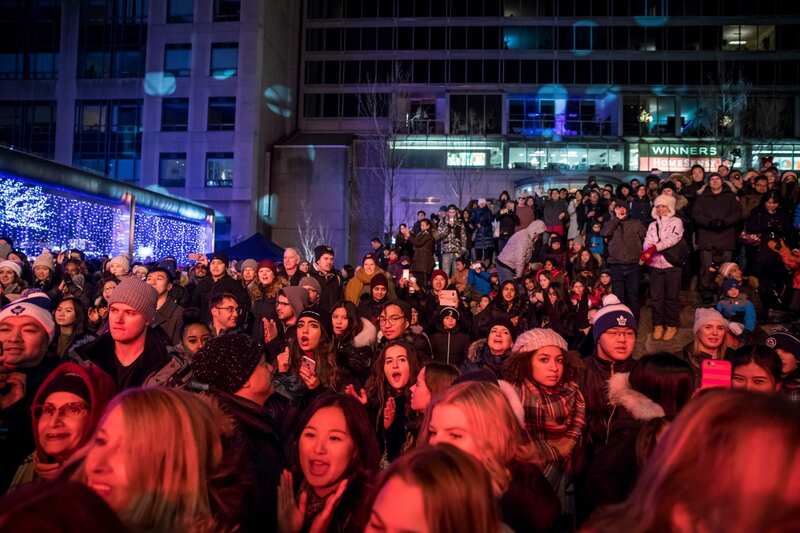 All proceeds from the event benefit the Canadian Foundation for Aids Research (CANFAR), a charity we are very proud to support. 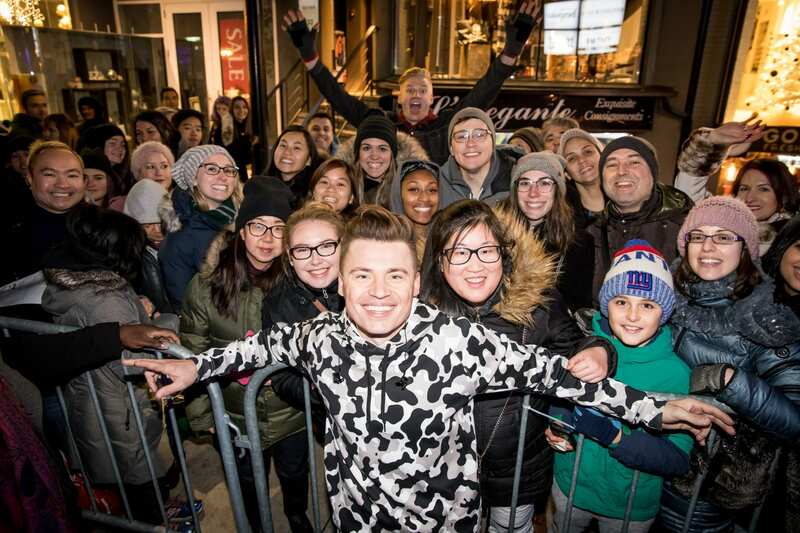 Shawn Hook, the two-time JUNO Fan Choice Award Nominee wowed the crowd playing both unreleased new music and of course his smash hits “Sound of Your Heart” and the Certified Platinum Single “Reminding Me.” The energy throughout the Village of Yorkville Park was undeniable, with fans of all ages dancing and singing along with Hook. 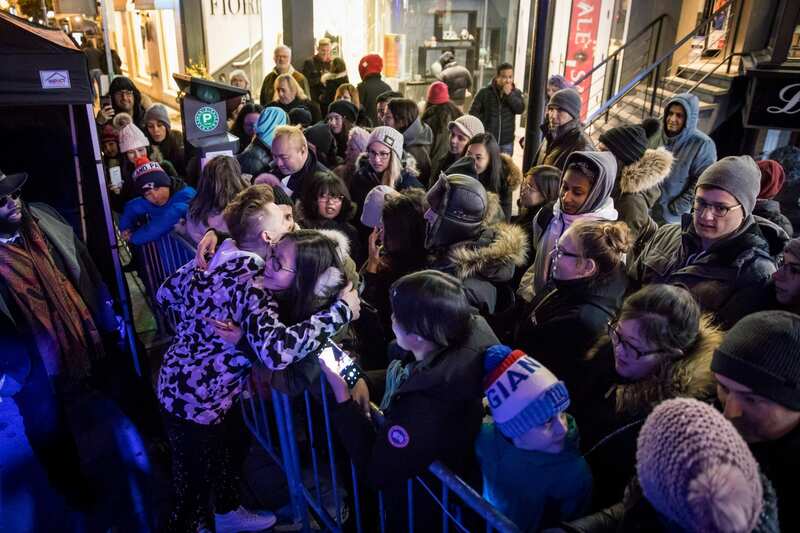 After his performance, Shawn remained backstage well into the night signing autographs and interacting with fans. 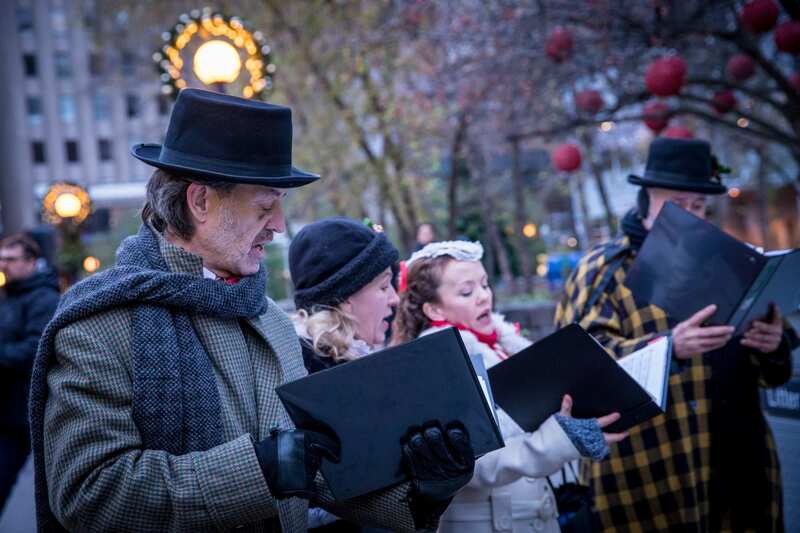 It was an unforgettable performance and we can’t think of a better way to have kicked off the holiday season! 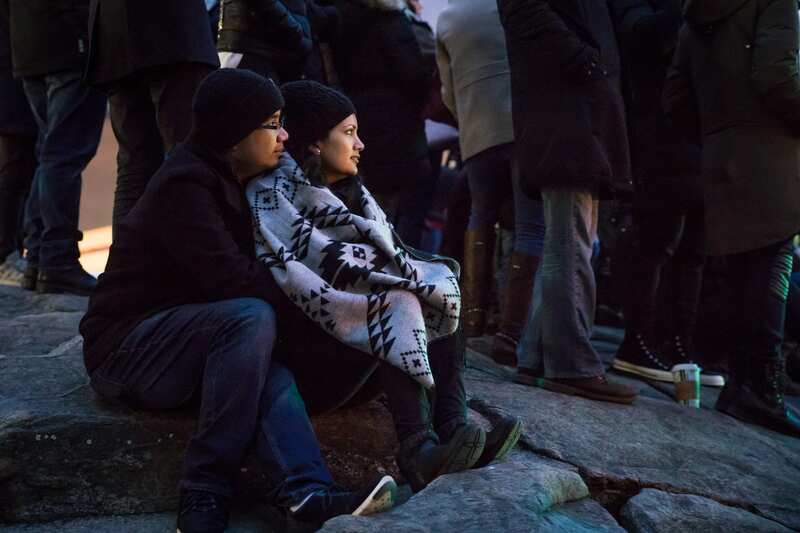 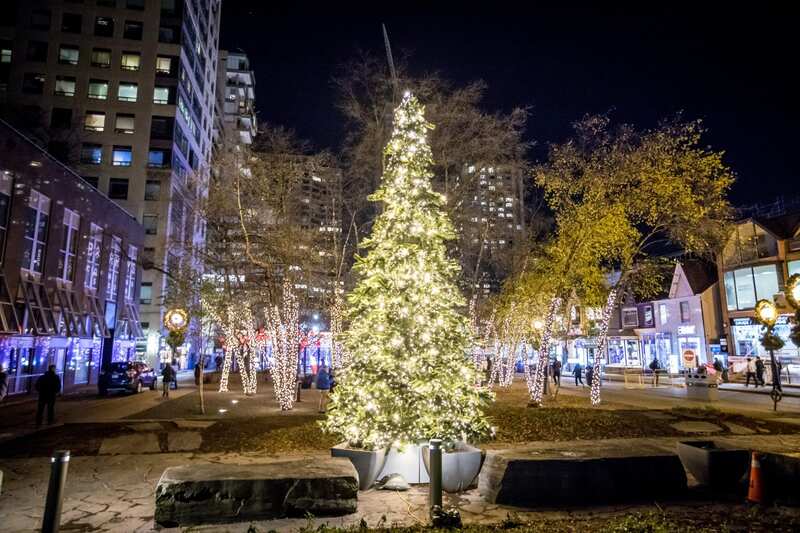 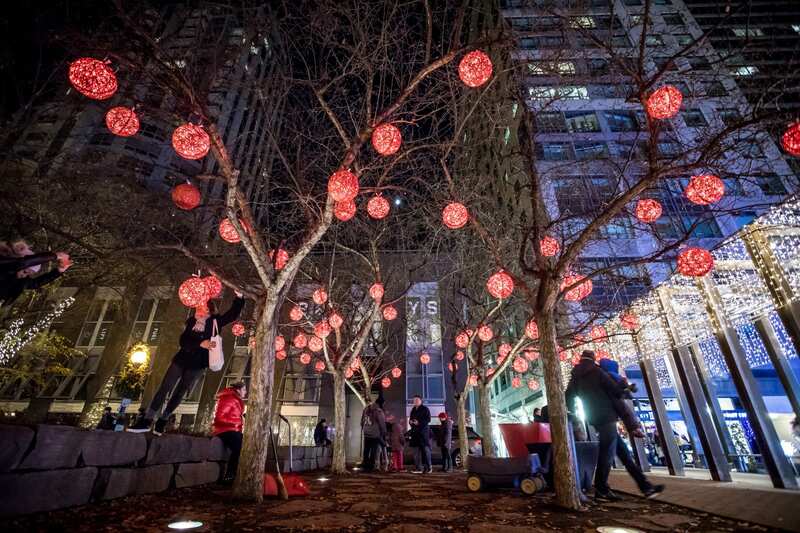 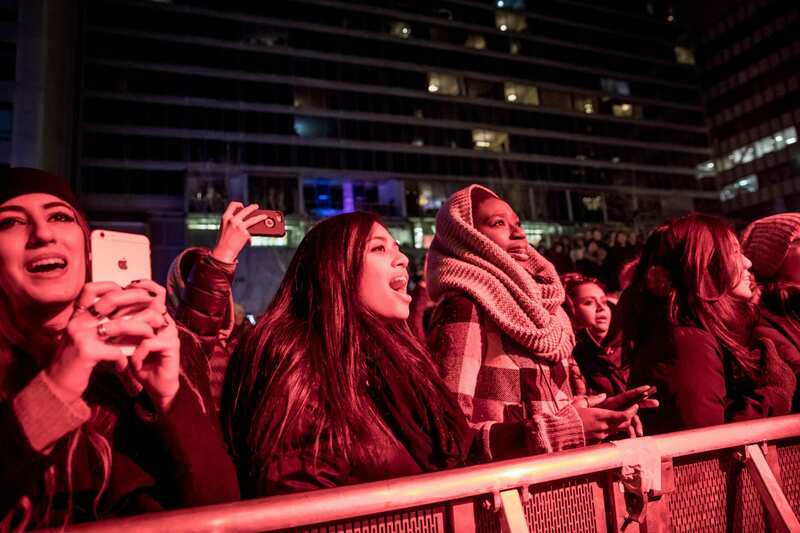 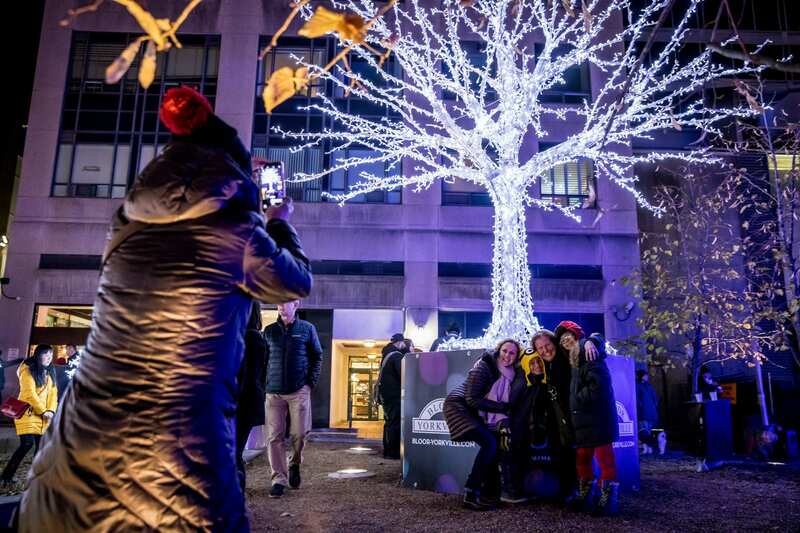 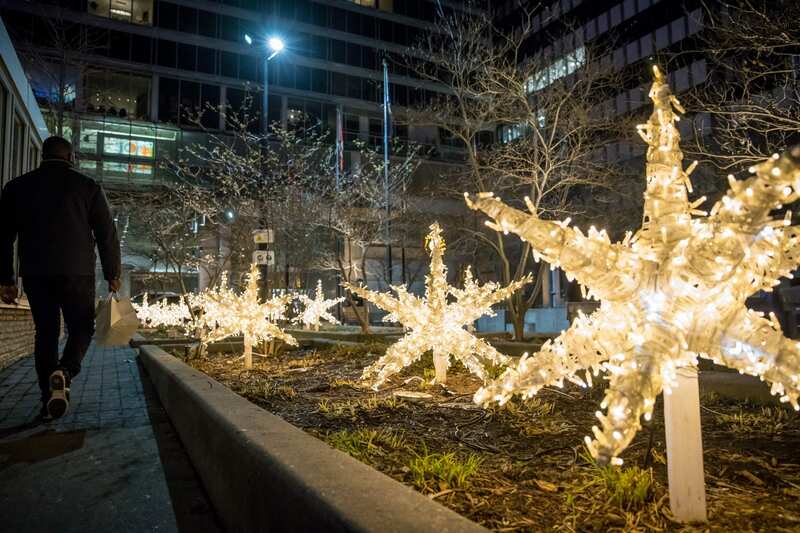 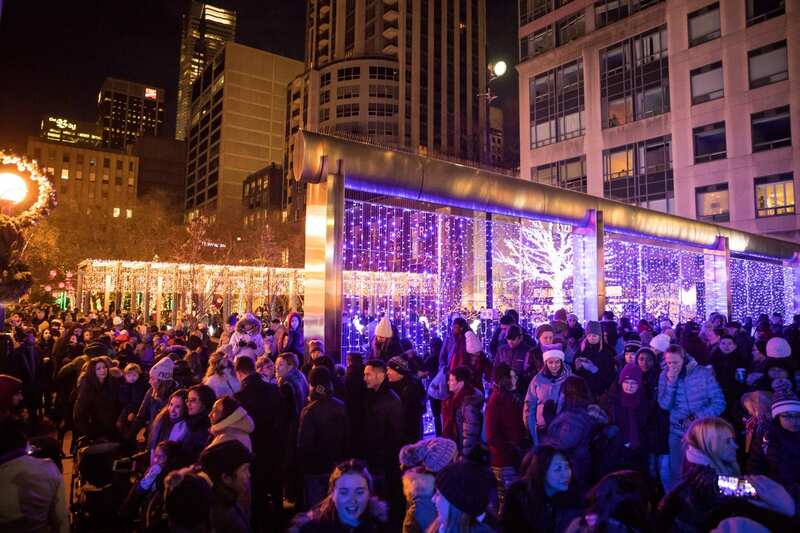 Guests of all ages explored the magical lights throughout the Village of Yorkville Park, stopping to take pictures amongst the glittering displays, and gathered on and around the iconic Yorkville Rock to catch the Shawn Hook concert. 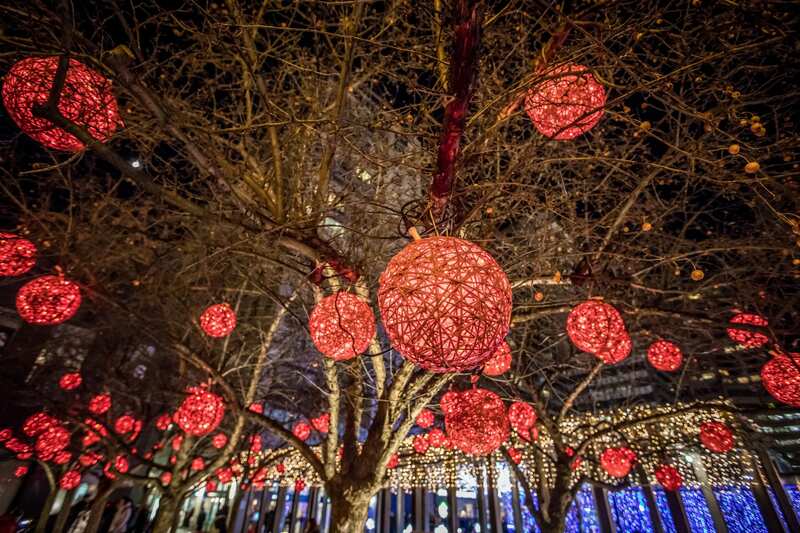 The spectacular Holiday Magic 2018 light display will remain illuminated through December, so if you missed the annual “flick the switch” lighting countdown, you still have plenty of time to experience the magic!The display leads you through a number of unique installations throughout The Park, amongst the Birch Trees, through the Crab Apple Grove, along the Festival Walk Arbor, to the far west Chokecherry shrubs, and eventually leading to the iconic Christmas Tree. 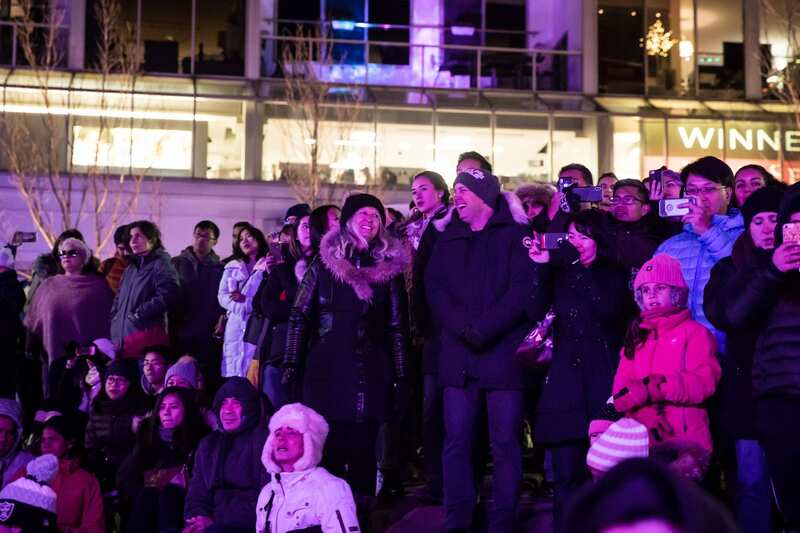 Thank you to everyone who came out to support this community event! 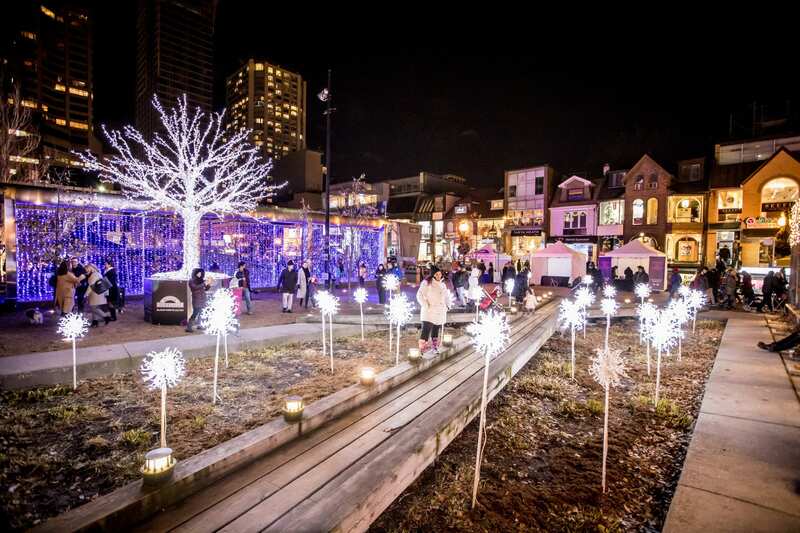 Your participation, CANFAR donations, and festive spirits truly helped make this a fun and successful evening. 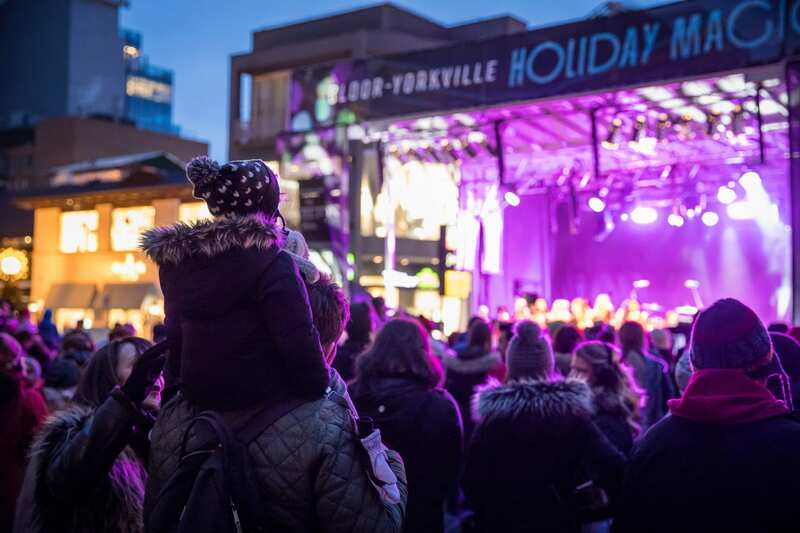 The Bloor-Yorkville BIA would also like to send a very special thank you to our sponsors: The Hazelton Hotel, Manulife Centre, Yorkville Village, and The Toronto Star. 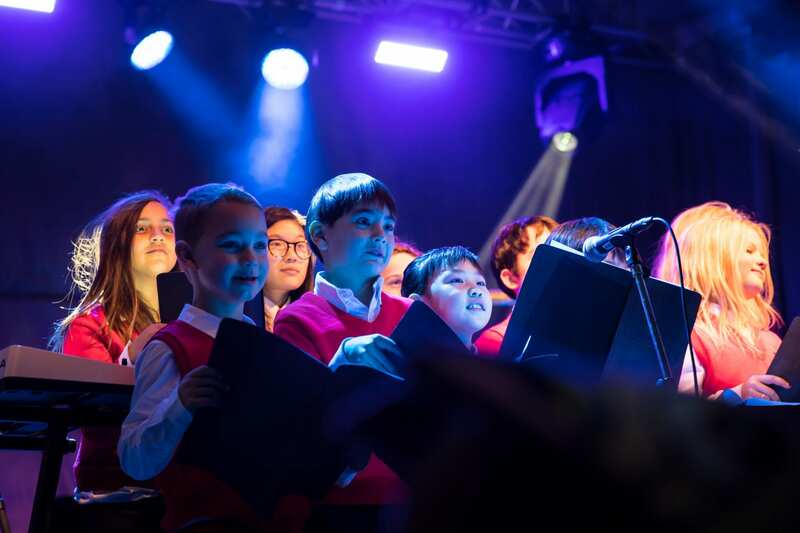 Your generous support makes these incredible community events possible. 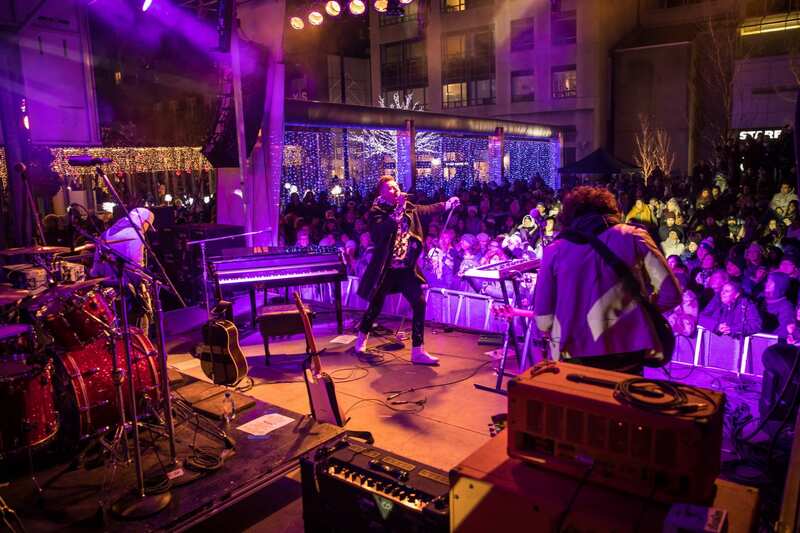 Browse the gallery below for some snaps of the evening – maybe you’ll spot yourself or a loved one!